A unique gift idea for a couple celebrating an Anniversary. 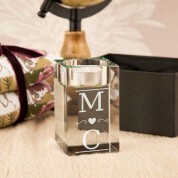 Alternatively it would suit a newly married couple, or even as a Valentine's day gift. 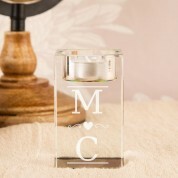 The design features a bold font with the happy couples first initials, one above the other with a love heart in between. The simplistic design is timeless and it can be displayed for years to come. 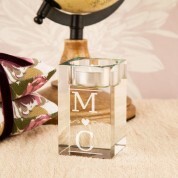 Our glass block tea light holders are rainbow tinted for that extra special touch. 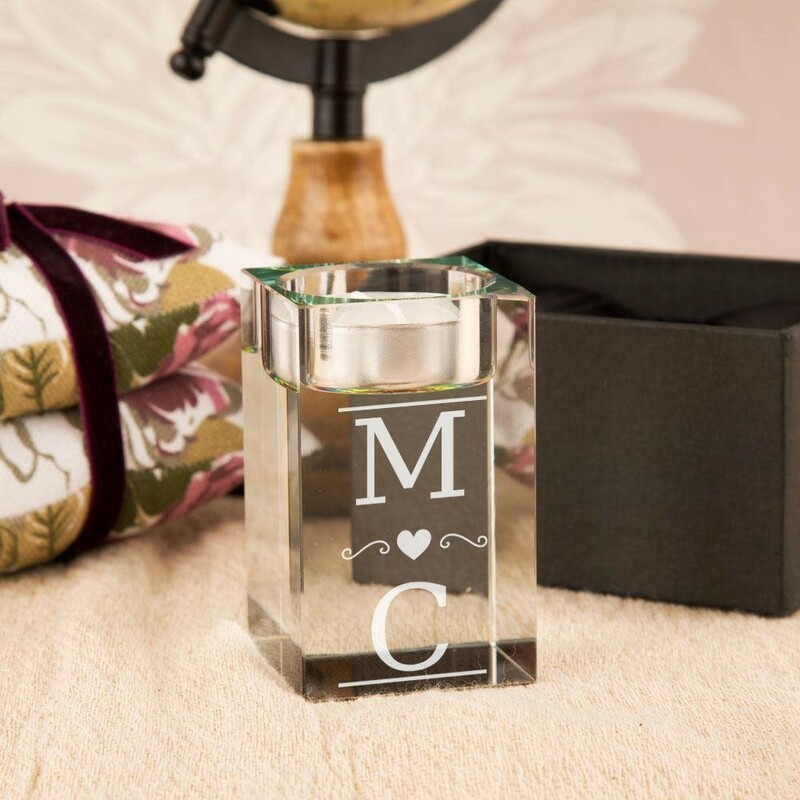 All our glassware is designed and engraved in house by our production team.